Norman Y. Mineta San Jose Intl. - Louis Armstrong New Orleans Intl. The best months to travel to New Orleans are March, April, October and November when the air is scented with jasmine, and the sounds of jazz spill out on to the streets. These months also mark the height of festival season, including the French Quarter Festival (April), Jazz Fest (April/May), Voodoo Experience (October), and the Oak Street Po-Boy Festival (November). During winter months, New Orleans is often infused with a damp cold and raked with ornery winds. And though temps sink below freezing two or three times each year, it doesn’t stop Saints tailgate parties (late fall) or Mardi Gras (February or March). Then there's summer, when conditions are hot and damp. This is also peak hurricane season -- especially August and September. This park offers even more excitement in the heart of New Orleans. You'll find walking and biking trails, an antique carousel, the New Orleans Museum of Art, an amusement park, plus the world's largest collection of living oaks. Drink with the locals at this punk/dive bar in the French Quarter. Boasting a 1930s history and rockin' jukebox, the surprisingly friendly lounge also gets street cred from several vampire tours. If you're pining for the Royal treatment, Le Salon in the Windsor Court Hotel hosts an elegant afternoon ensemble of tea, champagne cocktails, English tea sandwiches, classical music and more. Housed in the Royal Sonesta Hotel New Orleans, this Bourbon Street venue offers a sophisticated scene for live jazz and cocktails. Satisfy your sweet tooth at Angelo Brocato's (ice cream) or Sucre (macaroons). Try po-boys at the Parkway Bakery, and Soul food at Praline Connection. Craving Latin? Head to Rio Mar. 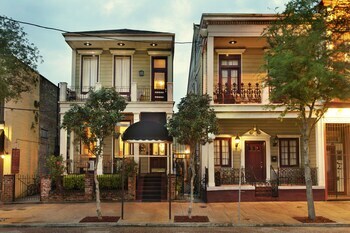 Take a load off, relax and let the switched-on team at Orbitz help you design an epic New Orleans escape. If you're eager to combine your hotel and flight bookings to save time and money, you've come to the right place! Bundling your bookings is one of the simplest ways to save. Pick out your desired airfares, hotels, rental cars and experiences for savings of up to $857*! And that's not all — if you have no clue who to fly with or where to stay, our database has more than 500,000 worldwide accommodation options and 500 airlines. The freedom is yours! There are infinite options when it comes to the places you can go and what you can do. An inspiring adventure awaits. We've developed a simple system that rewards you fast! All you need to do is keep booking with us and you'll earn instant Orbucks! 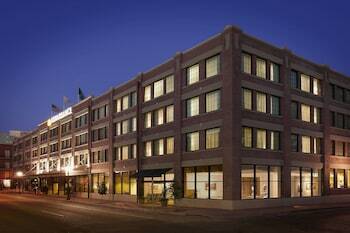 Special perks at Orbitz Rewards VIP Hotels are on offer to every gold and platinum member. Want in? Just stay four nights for gold status and 12 nights for platinum status in a calendar year. And how do you redeem Orbucks? 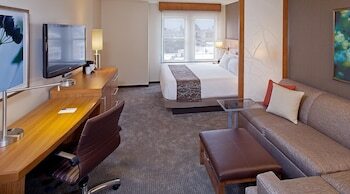 You can make use of your Orbitz Rewards points on your very next booking — it's really that easy! Wondering where New Orleans sits on the map? This city is about 75 miles southeast of the capital of Louisiana, Baton Rouge. New Orleans is also 25 miles south of Lacombe. Ready to rub shoulders with the locals? 340,000 people call this part of Eastern Louisiana home. The New Orleans Museum of Art and French Market are just some of the great places to visit in the area. These aren't for you? No problem — you have plenty of choice here. Further noteworthy options include Jackson Square and Audubon Park. Even though this institution is esteemed for its reputation as a leading center for learning, Tulane University also has some interesting design features. Seeking some more options? Encounter buzzing machinery and processing lines at Mardi Gras World, where the workers take pride in perfecting the end result. But that's not all there is! There are numerous pivotal moments in time that helped mold this region into what it is today. Have a look at the comprehensive exhibits at National World War II Museum. Adventure is just around the corner, and there’s no better way to find it than with the freedom of your own wheels. 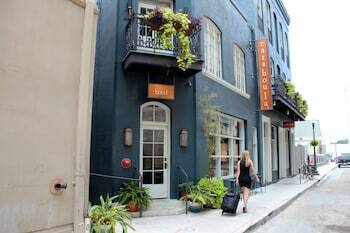 See and experience more by checking out car rentals in New Orleans with the help of Orbitz. Arriving by air? 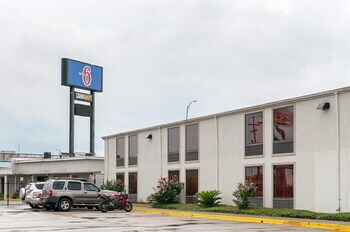 Enterprise at Louis Armstrong New Orleans International Airport is the place to rent from upon arrival. Enterprise is right in the heart of the city. 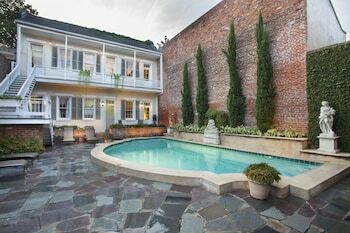 Simply head to 1019 Baronne Street. 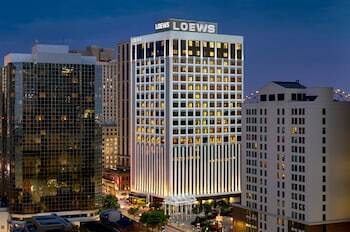 If there isn't anything for you there, Budget at 2 Poydras Street, Hilton New Orleans Riverside Hotel should be the next place you contact. Don't waste another moment. 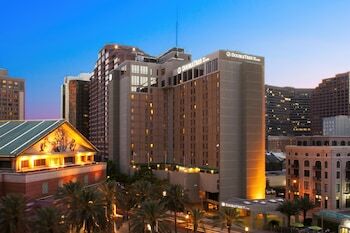 Book one of 196 hotels in New Orleans and get the ball rolling on all your experiences. 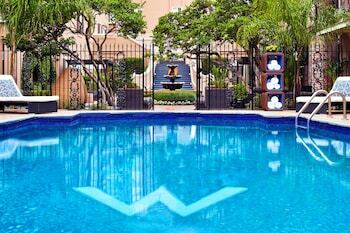 If you love the finer things in life, the Windsor Court Hotel is a terrific option. 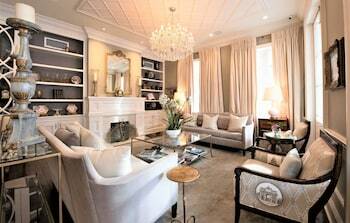 Alternatively, try the W New Orleans - French Quarter. 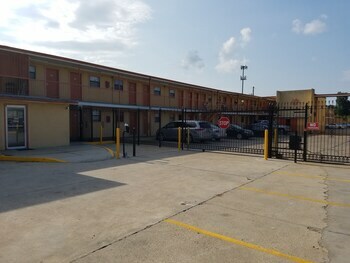 On the other hand, the French Quarter Suites Hotel (1119 North Rampart Street) and the New Orleans Courtyard Hotel (1101 N Rampart Street) are decent choices if you're here on a budget. Visiting New Orleans and want to know something about the airport you'll be landing at? Louis Armstrong New Orleans International Airport (MSY) is the most convenient terminal, sitting 11 miles to the west of the downtown area. 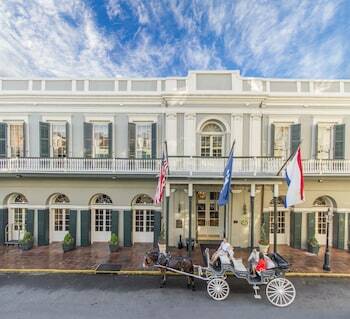 Seen all there is to see in New Orleans already? Don't worry! Slidell is just 30 miles from here and has plenty of activities to keep you busy. If you want to spend a whole day in this area, visit the Pinewood Country Club in the morning. Next make your way to the Oak Harbor Golf Club and Bayou Country General Store. If this isn't what you're after, try Vacherie. Just 40 miles away, this area features other noteworthy attractions like the Laura: A Creole Plantation, St. Joseph Plantation and Evergreen Plantation. Spend the day here to check them all out! Renewed your passport, booked your vacation but now can't go? No need to panic — we make canceling your plans a breeze by not requesting a fee.^ Act promptly and your selected airline and hotel might do the same!